Keep your hands free and stay focused on more important things with Coleman's innovative REAX auto-adjusting CXS+ headlamps. Designed with Light sensing technology, the headlamps automatically adapt their beam pattern to the surroundings environment and needs of the wearer. 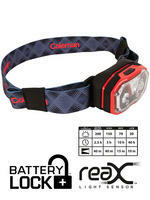 The advanced headlamps also feature Coleman BatteryLock technology meaning they are ready to go whenever you are. See below for full product specifications. BatteryLock: Retain your battery life until it's required! Standard electric lights lose battery power over time even when they're switched off because the battery is never truly disengaged from the electric contacts. 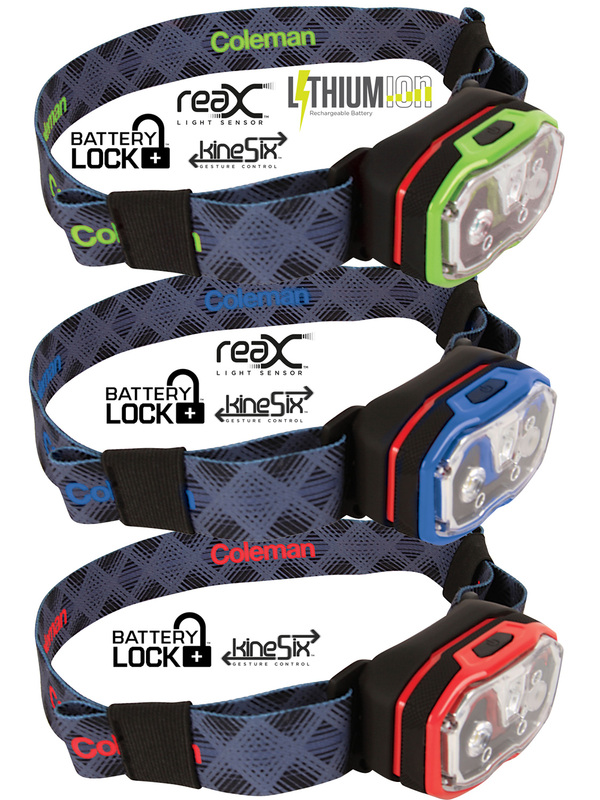 With patent-pending Coleman BatteryLock technology and a simple twist of the head, battery loss will become a thign of the past. Duraguard: Duraguard is a robust exterior shield designed to increase product durability. Developed to cope effortlessly with more extreme wear and tear, when the going gets tough, Duraguard technology allows products to withstand higher levels of damaging impact. Be confident that this tough and durable, protective layer won't break and let you down. 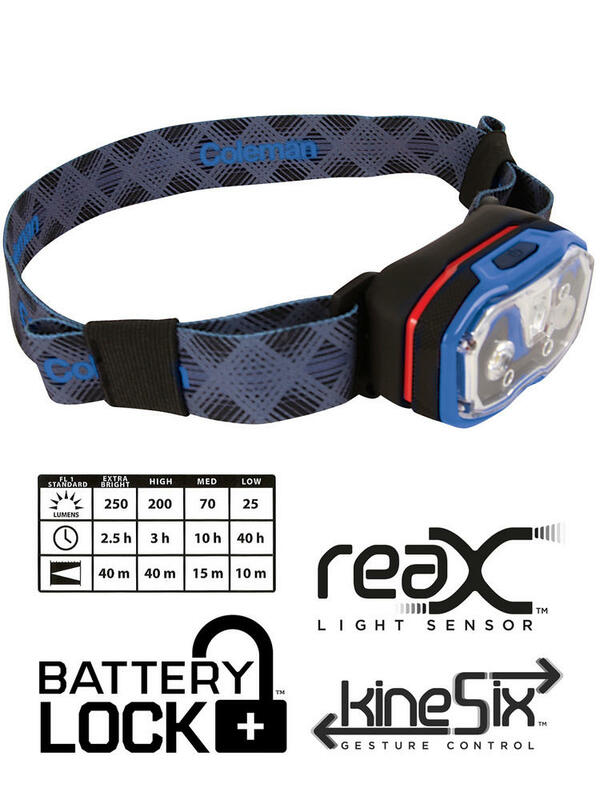 ReaX Light Sensor: With innovative Coleman REAX auto-adjusting, light-sensing technology, Coleman headlamps adapt their own beam pattern to the surrounding environment and needs of the user. KineSix: Coleman Kine Six technology is a revolutionary system inspired bu kinesics, the interpretation of body movements. Designed to maximise headlamp functionality, the KineSix system is controlled by the users' hand movements, removing the need to operate the product manually. 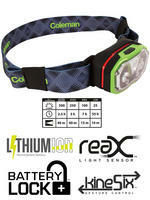 Lithiumion: Selected Coleman electric lights feature the incredible and reassuring power of a Lithium Ion battery. 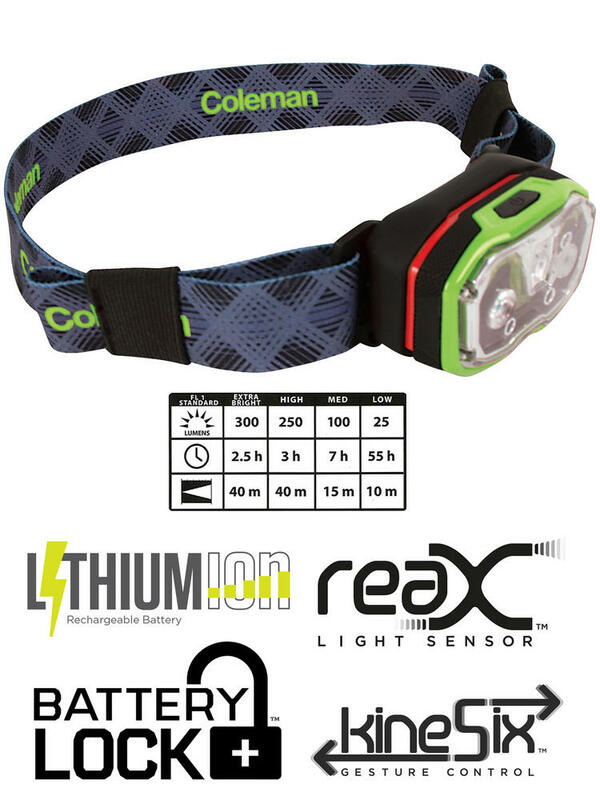 The rechargable Lithium Ion battery is one of the most long lasting batteries on the market today and provides both reliable and durable power to selected Coleman Products. 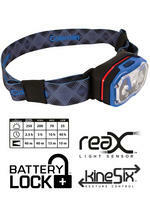 With a Durable Duraguard construction, this auto-adjusting headlamp features 5 different lighting modes. 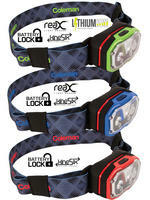 Equipped with an advanced REAX sensor, this practical headlamp also benefits from a comfort tension headband system. The next generation of USB-compatible, gesture controlled headlamps has arrived. 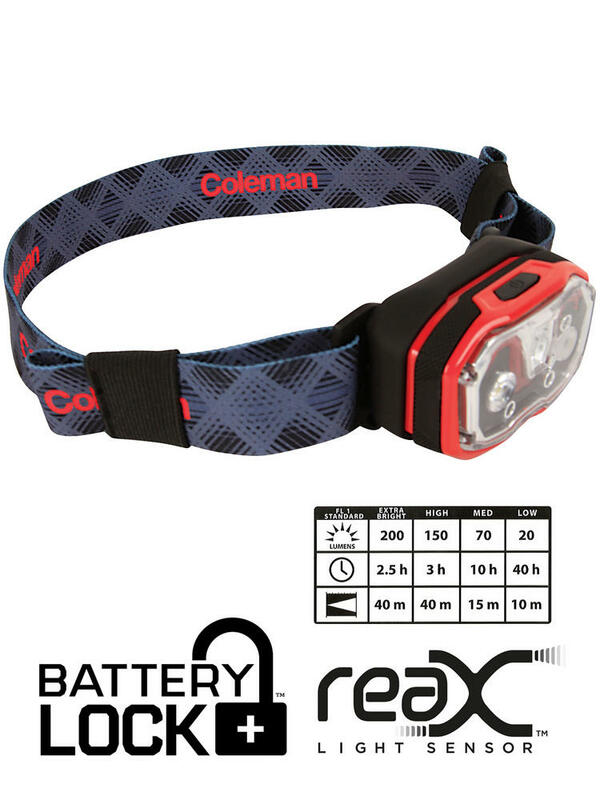 Featuring 5 seperate light modes and hands-free KineSix control, this fully-featured headlamp can be easily recharged for maximum convenience.